the domain of integration is all direction_in coming from the sphere of all directions. 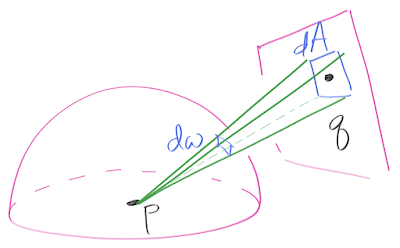 Often the brdf is zero for directions from inside the surface so it's the hemisphere. 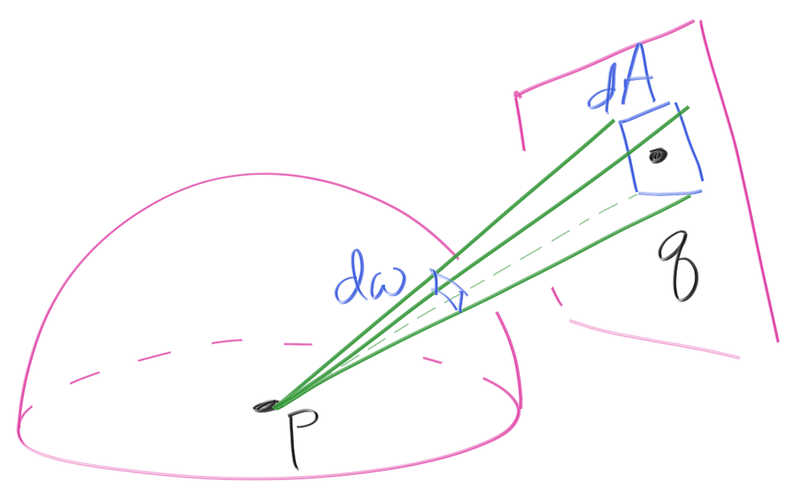 You pick a point q on the light with pdf 1/A in area space, but what is the pdf in directional space? Drawn in limnu whitboarding program. I found this explanation more clear than the one presented in the book. It's probably a good idea to rename p_q(q) to p_area(q) in the book for clarity.